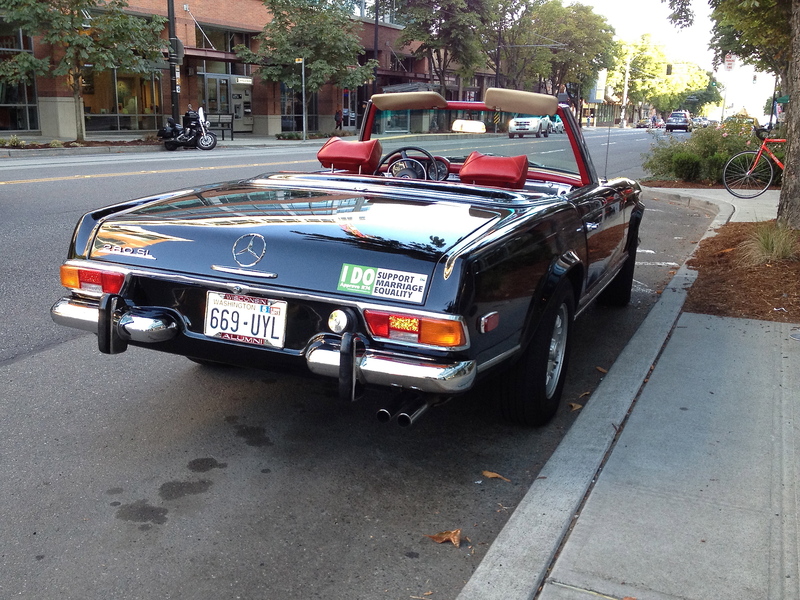 This is the last of the Mercedes Benz SL roadsters that could be considered a sports car. 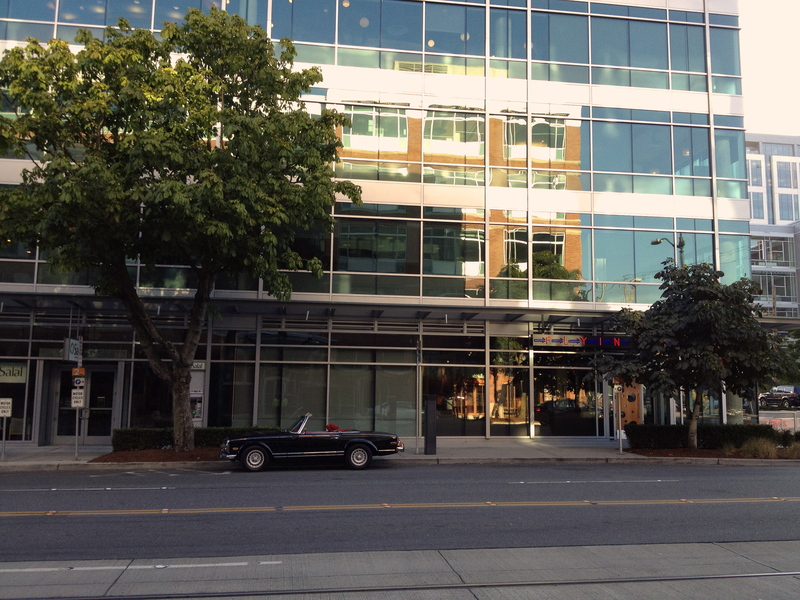 This series of SL, commonly known by the chassis code W113, was produced between 1963 and 1971. 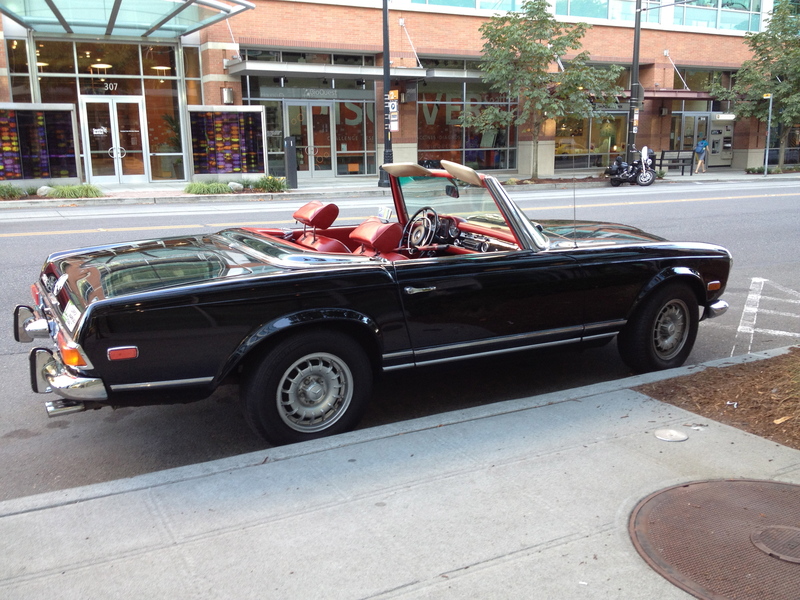 These cars are also known as the “Pagoda” SL due to the shape of the car’s removable hardtop. As a child of the 70s and 80s growing up in California in these cars were everywhere. It seemed to me that every Jazzercise instructor drove one of these and looked great doing so. The cars in the W113 series are powered by a straight six engines, displacing from 2.3 liters to the 2.8 liter mill in our feature car. You can tell the engine size by the numbers on the trunk lid, “280” signals 2.8 liters. This used to be a common practice. These days, the numbers on the back of a car are more likely to denote a comparative trim level than engine size (BMW, I’m looking at you). This car looks great in black with red interior. 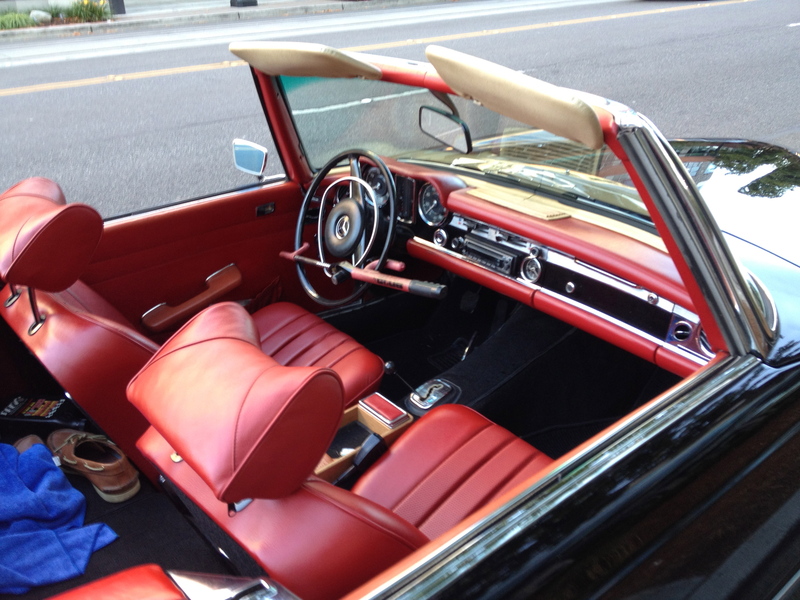 Being a North American market car, it came with standard air conditioning and was equipped with an automatic transmission. A manual transmission was available, and popular in Europe, but didn’t have a high order rate in North America. With 160 horsepower, a low axle ratio, and a 2900 lb curb weight, this is likely a sprightly and fun to drive car. The R107 chassis SL that replaced this car was a larger car more suited to touring than canyon carving. The later cars are great cars, but they are not up to the tradition set by the likes of the legendary 300SL. This car, while not nearly the sporting powerhouse the 300SL was, earned its motorsport credentials by competing in rally events. A Pagoda SL won the 1963 Spa-Sofia-Liège 4000+ mile open road Rally. Being a Mercedes, an SL of this era is built to a supreme level of craftsmanship and is easily capable of lasting for hundreds of thousands of miles of service with just routine maintenance. 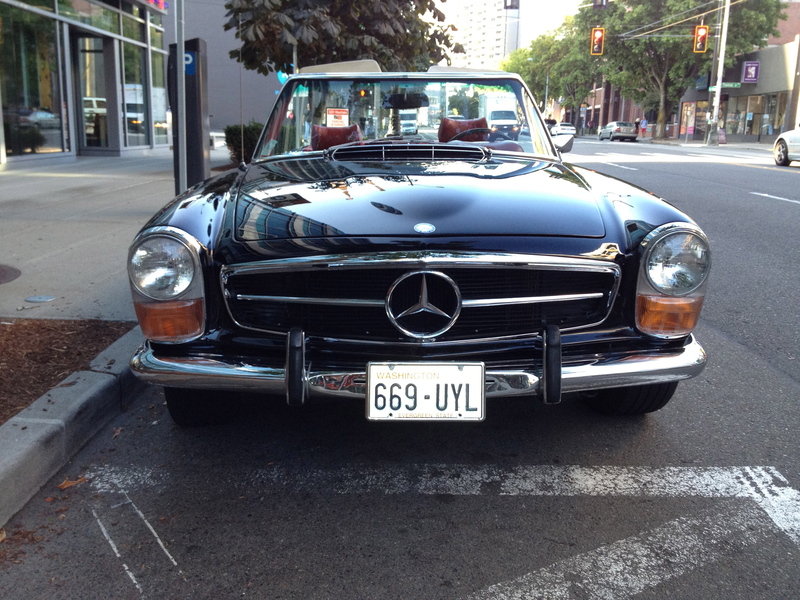 This entry was posted in Street Parked and tagged 280SL, Automobiles, Jazzercise instructors' cars, Mercedes, Mercedes Benz, W113. Bookmark the permalink.